Today, transfer of information between devices safely has become really important. This need to transfer data resulted into the need of computer network management. What is computer networking? It is the process of connecting two or more devices in order to transfer or share data and information. For example: LAN (Local Area Network) which is restricted within a small area like office or home, WAN (Wide Area Network) which can reach all over the world are the types of computer networks. Online computer networking degree program does not only deals with connecting the devices but also takes care about security measures. To transfer information safely is more important. Computer networking degree program is considered as the main program in some universities while in others it may just fall under the category of computer science. This varies with states and universities. It includes studying related to Science, Mathematics, Information Technology and many more. You require multi-tasking, analytical, communication, problem solving, computer and listening skills for doing well in the field of computer networking. A career in computer networking may prove to be fruitful as it is fast growing field. It has large number of applications these days. Some of the applications of computer networks include electronic mail, digital libraries, file transfer, audio/video conferencing, web browsing and many more. Try to get computer networking scholarships and get enrolled in top computer networking schools and universities. Network and computer system administrators are responsible for diagnosing hardware and software problems. They maintain and administer computer networks. They take back ups to recover lost data. They are also responsible for data security. They maintain performance of computer systems and network. 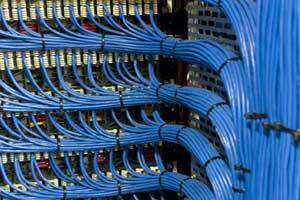 They install network hardware and software and make all upgrades and repairs. Thus, a network engineer is responsible for the overall installation, maintenance, upkeep and security of the computer network of organizations. Computer Network Support Specialists, widely known as Technical Support Specialists work under network and computer system administrators who deal with more complex tasks. They work in an organization to help and advice people about how to use equipments. They deal with network system. They test, evaluate and regularly maintain them. They troubleshoot LANs and WANs. They solve the problems of IT employees in the company, while Help Desk Technicians, also known as Computer user support specialist solve problems of non IT users. Help desk technicians analyze user’s computer problem. They diagnose it and inform user the solution in steps in a way that they can understand. They also repair computer equipments. According to the Bureau of Labor Statistics, with the increase in time, more number of people will need to upgrade their software and repair their equipments. Hence, job outlook for computer support specialists may be good for the coming decade. Job opportunities might get favorable for network system administrators. It may be best for the ones having bachelor’s degree. The one who remains up to date with the latest technologies might get Computer networking jobs easily. Certificates offered by: IT and computer networking training schools and centers, academy. For example:computer networking security courses, computer network administrator training programs.